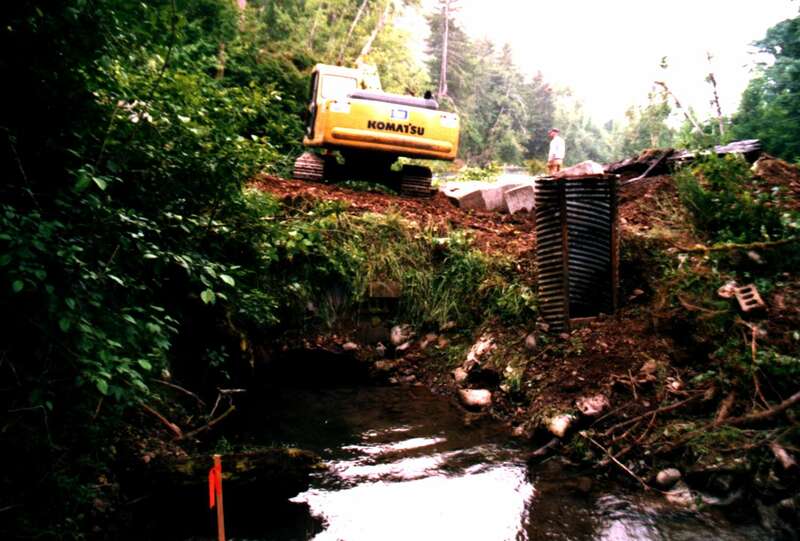 This project is a joint effort between State Fish and Wildlife, Pacific Coast Salmon Coalition and the Eagle Creek Ranch. Started in July 1999 with a cost of $155,000 this project is still in progress. Eagle creek is a tributary for the Sol Duc River near the Klahoywa Campground on hiway 101. 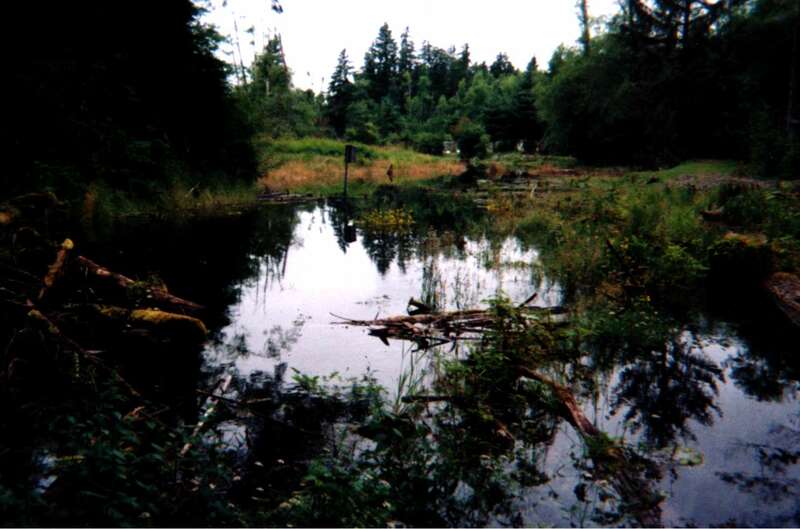 Water level in the creek was raised 6 ft to simulate a beaver pond. 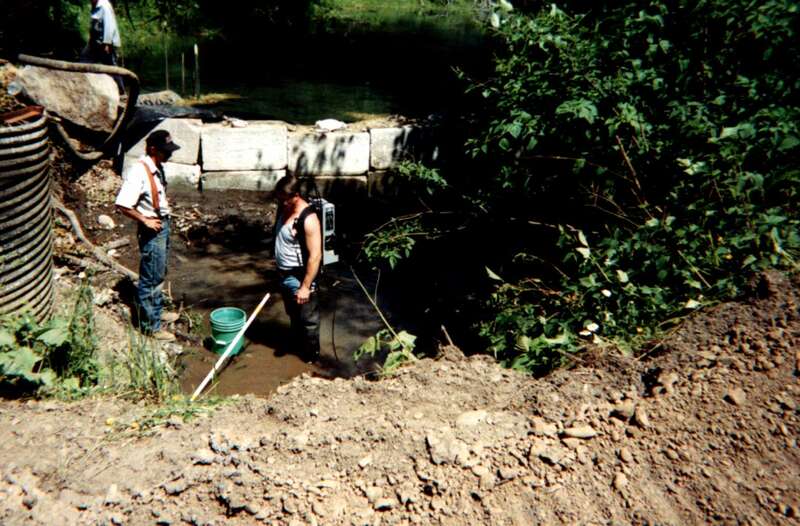 Spawning gravel was added to the creek to restore and improve spawning grounds in the creek. Trees have been planted to add shade and cover for the small fish to improve survival rates. 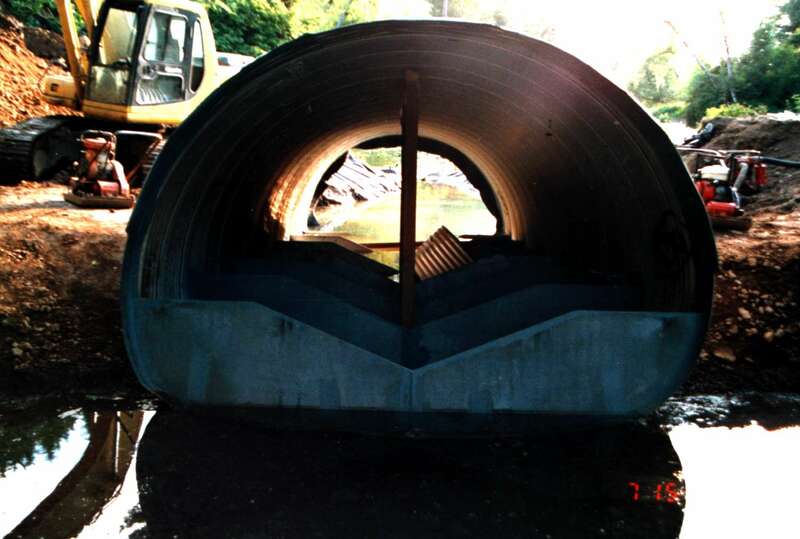 Old culvert was replace with a new culvert with a fish ladder inside to improve fish passage into the creek. Fish Biologist Dave King with the project foreman. The fish in the creek were shocked, netted and moved upstream above project work. 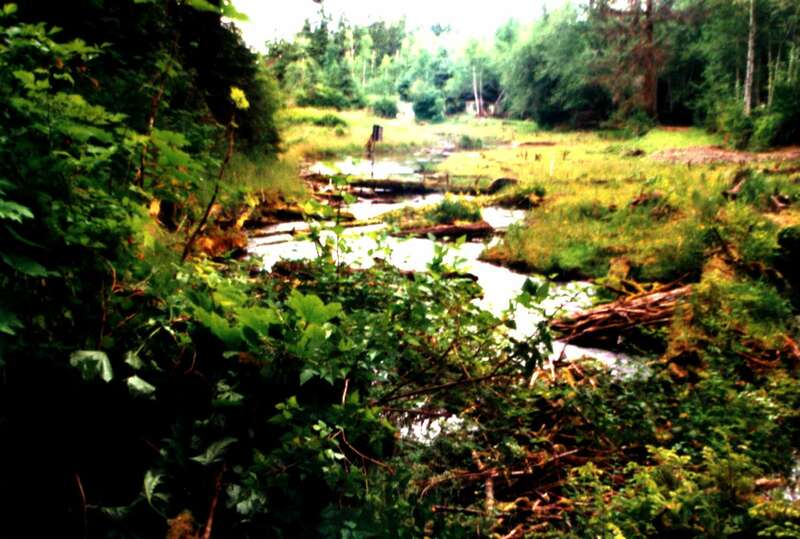 A very special thanks to the owners of Eagle Creek Ranch for their participation in this habitat restoration project.